The 179-162 approval means the library will be open additional hours as well. The town of Belgrade will have a full-time librarian at its town library and will be open more hours. Results of voting Friday show that residents approved the move by a 17-vote margin, 179-162. The same article also added $20,990 to the library budget to pay for the changes. In a separate article, voters gave 243-103 approval to spending $59,532 for the library budget itself. 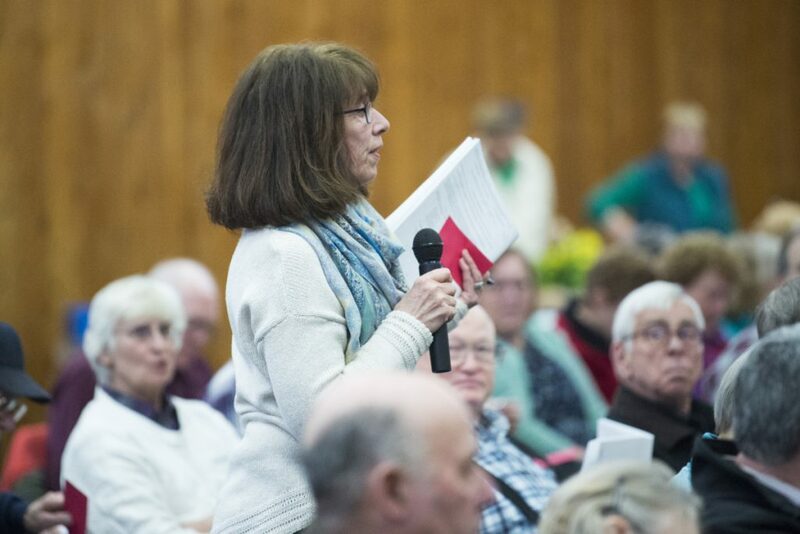 The proposal to have a full-time library director had proved to be a divisive issue in the town. The Belgrade Board of Selectpersons had voted 3-2 against recommending it for passage, as did one member on the Budget Committee. A similar proposal was shot down two years ago in a 4-1 vote by selectmen, so it never actually made its way to the ballot. Ernest Rice, board chairman at that time, said the town could not afford the additional $20,000 required to support the post for a year. Several people who served as town librarian previously had asked the board to make the librarian post full-time, but the idea was rejected. The town has gone through a series of part-time library directors, who were paid for 32 hours a week — 25 hours while the library is open and seven hours for administrative work. As a result of Friday’s vote, the library will be open to the public for 30 hours a week and will set aside 10 hours for administrative work. Ernst Merckens, a selectman who is also on the library’s board of trustees, had supported making the librarian post a full-time one. 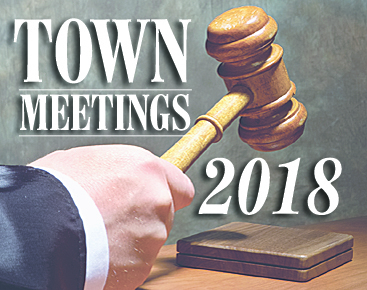 The other articles voted on at the polls were approved by at least a 2-to-1 margin, and all the remaining articles were adopted at the business portion of the meeting on Saturday. 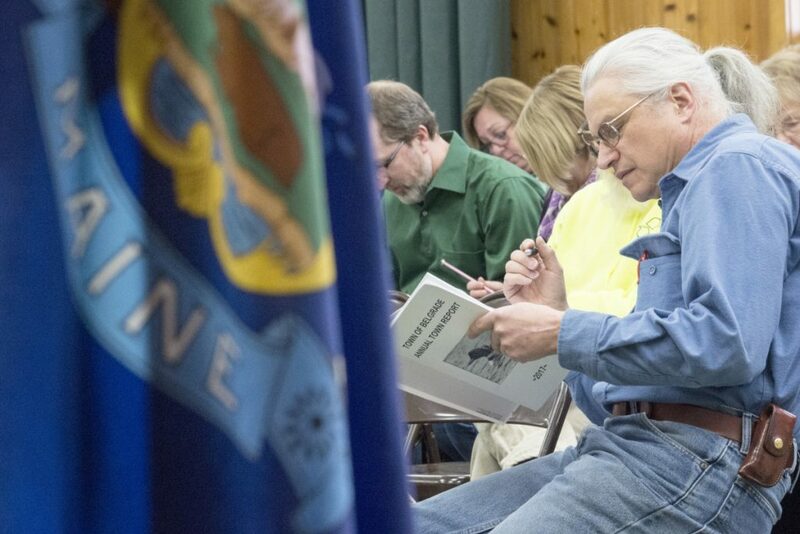 More than 100 people attended the Saturday session, including a handful of people running for public office. The meeting lasted just under 90 minutes. 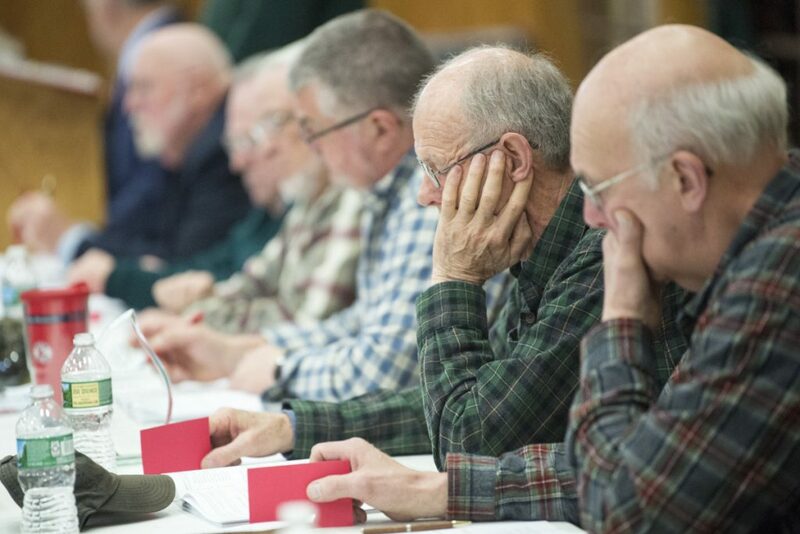 Residents agreed to allow officials to explore replacing the siding on the exterior of the Center for All Seasons to avoid costs involved with restaining boards at various intervals. The article says a number of boards need to be replaced. Voters also accepted a donation from Peter and Larry Mace of a 12-acre parcel adjacent to town land at the south end of Messalonskee Lake. Keschl said it is largely wetlands that are under conservation protection. He said it might be bundled with other land in the future and put into a conservation easement. Residents also gave selectmen authority to spend up to $15,000 for designated projects without doing a “request for proposal” advertisement. 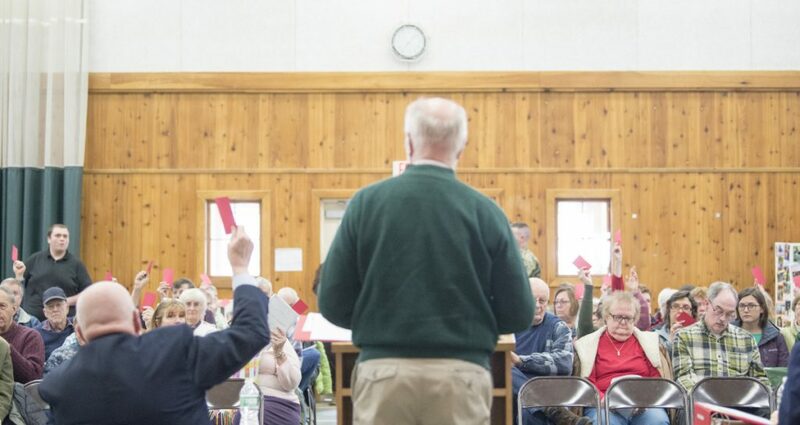 In the final article on Saturday, residents voted 67-6 to exceed by almost $13,000 the town’s $1.4 million property tax levy set by the Legislature under what is commonly known as L.D. 1. In other voting results from Friday, Melanie Jewell was elected to serve the last year of of Rice’s three-year term on the Board of Selectpersons, 186-133, over Jordan Stolt. Jewell has served on the board before. Rice had tendered his resignation with one year remaining in his term. He was recognized with a standing ovation at the start of Saturday’s meeting for his years of service to the town. Incumbent Merckens was elected to a full three-year term on the board with 229 votes, and Kathi Wall won the other open three-year seat with 213 votes. Incumbent Maurice Childs won re-election to a one-year term as road commissioner, garnering 230 votes; challenger Kevin Hawes got 102 votes.